Rose is often considered as a quintessential feminine flower, a flower that represents woman in different stages of her life, a flower that men traditionally give to the women they love. The pronounced rose notes in the modern perfumery are usually reserved for feminine compositions, despite the fact that this fascinating flower appears into 75% of all modern fragrances and into 10% of all men’s scents. In the Middle East, where rose is traditionally considered masculine, the yellow rose being the symbol of Islam, it finds way into fragrances intended for men much more often than it does in the West. Since rose is usually interpreted as sweet, lush and soft, it is interesting to experience creations that highlight its masculine side, such as Serge Lutens Rose de Nuit, Les Parfums de Rosine Rose d’Homme and L’Artisan Parfumeur Voleur de Roses. Created by Michel Almairac in 1993, Voleur de Roses speaks of rose blossoms covered with wet soil. Patchouli creates a heavy feeling that pervades the atmosphere after the rainstorm as the humid vapors rise over the drenched vegetation…. The mass of red petals is mixed with the oily darkness, their sweetness losing itself in the pungent camphorous cloud of patchouli. Tart fruity juices drip through the earthy layers, adding a bright touch that dissolves the dense heaviness of the composition. While woods, especially sandalwood, have a tendency to suppress the arrangement, patchouli makes it explode. Its effervescence creates an almost dynamic effect conjuring a vision of the wind ripping the petals off the rose bushes. As the fragrance dries down, the subtle sweetness of the rose loses itself in the resinous woods warmed by the musky breath. The earthiness persists into the drydown, and at one point, the composition shifts slightly to resemble not a handful of dirty roses but a slice of hot rye bread. Crimson rose petals swirls above the darkness of the base, slowly disappearing into its fold. For all of its interesting facets, Voleur de Roses is not among my personal favorites, because its earthiness has a transparent quality, whereas I would have liked for the drydown to be more fullbodied and perhaps less dry and camphorous. For those who wish to explore further the marriage of rose and patchouli, I would recommend Les Parfums de Rosine Une Folie de Rose. Indeed, if one found Voleur de Roses to be too heavy on patchouli, Une Folie de Rose might be a gentler, less challenging fragrance to wear. Notes include rose, plum, patchouli. L’Artisan Parfumeur fragrances are available at Aedes, Barneys New York, Beautycafe, Bergdorf Goodman, Bluemercury, Neiman Marcus, Saks 5th Avenue, and Theperfumeshoppe. European shoppers can find the line at First-in-Fragrance. whitebar: I’m a male who enjoys rose scents. I currently own Une Rose, Rose d’Homme and Voleur de Roses. Voleur is by far my favorite of the three and I loved it from the first moment I tried it. On me the patchouli is not overpowering and there is a wonderful plum note that puts a smile on my face. This one rates in my top 10 favorite fragrances and I wear it year round. Evan: Subtracting roses and patchouli from perfumery is like cutting an arm and a leg off a person- you don’t have that many limbs left! I guess you mean overt interpretations of the two. Evan: marchlion- What about L’Artisan’s Patchouli Patch, which smells like a platonic headshop. I quite like it (and I couldn’t resist the headshop reference, though I’m quite against the unfair pigeonholing of patchouli with the hippie set). Old patchouli smells quite different than fresh patchouli, and I suspect many people’s negative feelings about it come from smelling the fresh stuff (usually mixed with some rancid carrier oil and smeared in some white guy’s dreadlocks. I know I said I’d avoid the stereotype, but it’s sadly often true) Patchouli is also good at camouflage- it forms accords with certain materials and becomes transfigured and lurks in places you wouldn’t necessarily expect. BoisdeJasmin: Evan, it is a large line, and many fragrances are just too thin. For instance, Drole de Rose is probably my least favourite rose–it has that thin quality paired with sweet powderiness. And it is by Olivia Giacobetti, whose creations I ordinarily enjoy very much. BoisdeJasmin: Evan, I admit that the headshop is not an immediate reference I would have with patchouli, because of my background. Aged patchouli can be stunning, a true liquid gold–effervescent, dry and winey. The fresh patchouli has the kind of pungency that makes people dislike it. As for tenacity, yes, it is very tenacious. I have a strip saturated with patchouli oil in one of my homemade plastic Monclins, and it smells quite strongly even after 4 months. 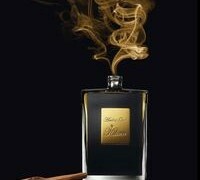 BoisdeJasmin: Nuits de Noho is a little bit reminiscent of Angel in terms of its maltol/gourmand side paired with patchouli, however the patchouli in Nuits de Noho is soft and woody, without the typical earthy element, which is why people who tend to hate patchouli (or rather hate the overly camphorous and earthy patchouli) seem to like Nuits de Noho. BoisdeJasmin: F, the stories are rather complex actually. In my notes, I have two different legends, in addition to the symbolism mentioned: “In an Arabic legend, all roses were originally white until one night when the nightingale met a beautiful white rose and fell in love. At this stage nightingales were not known for their melodious song — they merely croaked and chirped like any other bird. But now the nightingale’s love was so intense that he was inspired to sing for the first time. Eventually his love was such that he pressed himself to the flower and the thorns pierced his heart, colouring the rose red forever. BoisdeJasmin: I am familiar with that story too. The ending when the rose ends up tossed carelessly and trampled is the heartbreaking bit. I wept too. Campaspe: V., both of those are fascinating! Oscar Wilde has a version of the first tale, called “The Nightingale and the Rose,” a story that made me weep copiously as a teenager when I first read it.